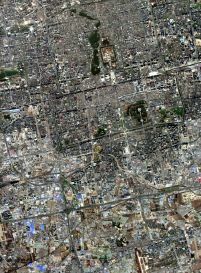 Since the liberation of China in 1949 there is no more legation quarter in Beijing. 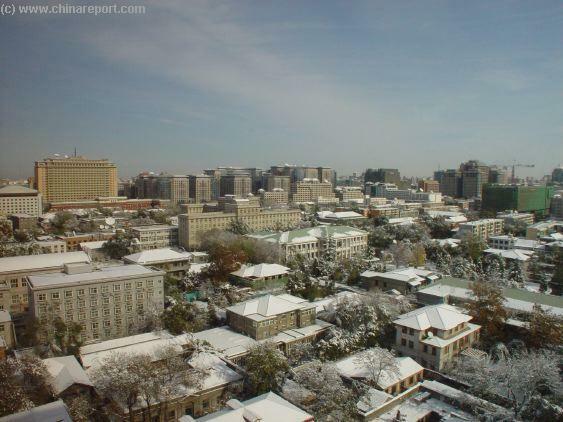 In the days before the European powers forced their way into the Chinese empire, the only representatives of foreign states allowed in Peking were those from Burma, Annam (Indo-China), Korea and Mongolia, living in the 'Four Barbarians' Hostel' in what later became the Legation Quarter . 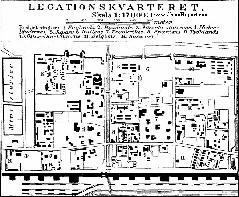 The Russians obtained the right to open a church in Peking in 1727 and were given a plot of land just opposite these vassal embassies. 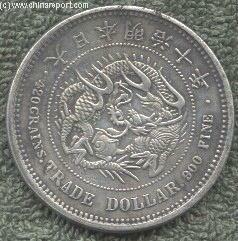 In 1860, after the second Opium War, Britain and France forced the Chinese to allow them to open their own legations nearby, and other Western powers, and later Japan, followed suit. 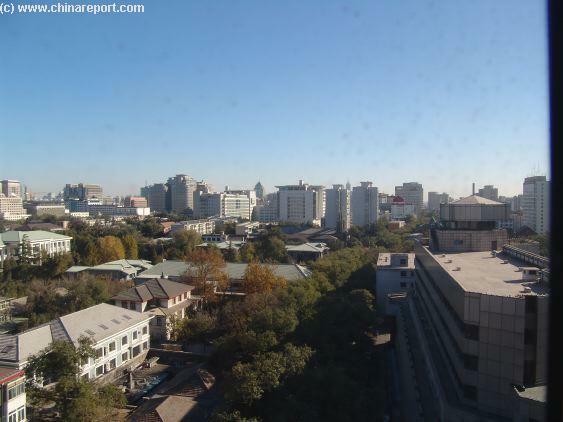 Welcome to China Report's Introduction to our 11 Page Digital Walk Through of the former Foreign Legation Quarter of Beijing . 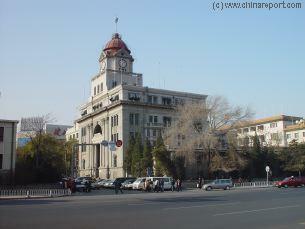 Later the Beiyang republican administration in the beginning of the last century. moved to a different location in Beijing. 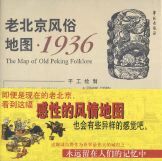 Source Book "From Emperor to Citizen"
"Behind The Veil of The Forbidden City"
A list of all Historic Maps of the Beijing Imperial Capital City, including a satellite image clearly delineating Ancient Imperial City Borders , 4 main old city Districts and many Landmarks. 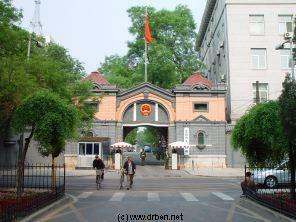 The Beijing Police Museum is the Proud Showcase of the Cities Police Force and Beijing's Public Security Bureau. 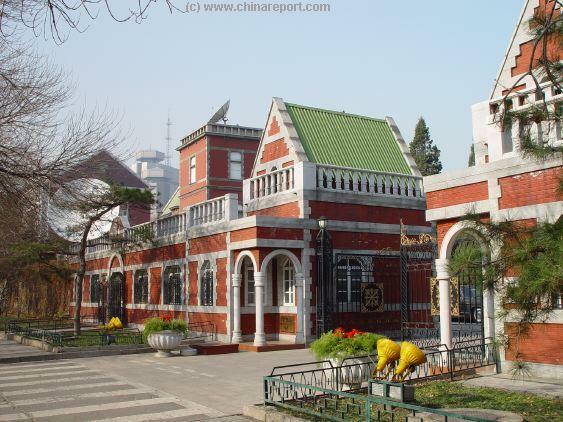 Located on west JiaoMin Alley, the former Legation Street, the Police Museum stands amidst the tree rich historic lanes that were once the heart of the western enclave of Beijing. 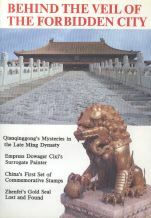 This report gives an Impression of what to expect at this interesting museum on Beijing Police, the security bureau and more. In addition we updated this report with photos and explanations on Beijing Police Uniforms and Vehicles. Not a main street of DongCheng or the former Legation Quarter, Rue Hart is an inconspicious survivor of China's turbulent history. Today there are only old walls and hints of history left. Find the street sign, for long the only english language street sign in Beijing, a remnant from earlier days and the western sovereign enclave in Beijing. Try and identify the 3 former Legations Compounds ! 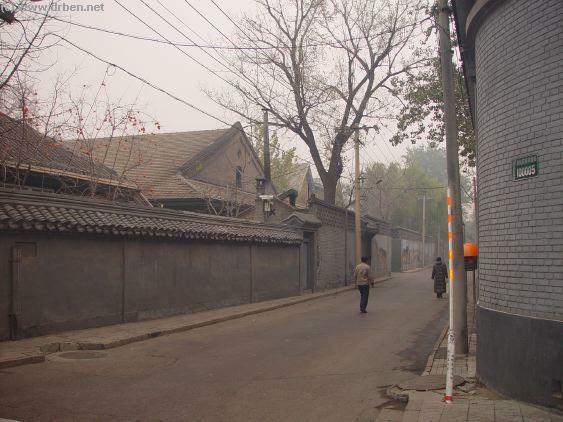 With the advent of modernity in Beijing Rue Hart is slowly but surely forgotten. Or is it ? Leadership of the Organization the Defense of The Legation Quarter fell to Senior British Administrator Sir Claude Maxwell MacDonald (1852-1915 AD), who was the Head of the British (Imperial) Foreign Service and British Foreign Minister in Beijing. 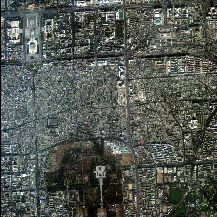 His British Legation was located on what is today the North Section of Zheng Yi Lu (=Road). Ambassadors and Foreign Ministers of the 8 Allied Nations with Treaty Ports and Legations in China and Beijing simply refused to abandon their Legation Quarter, nor dared to evacuate their women & children. Instead they asked for reinforcements from the TaiKu Forts Garrisons and no less than all 17 Foreign Gun Boats at the Harbor of TaiKu Bay. As foreigners from all over North-China and the City fled the tumultous labyrinth of city streets, the Legation Quarter almost tripled in inhabitants, pooring over with anxious Foreigners. Before long the foreign reenforcements started their attack on the Forts at Tianjin, with the international naval brigade landing ashore and taking TaiKu Fortress. 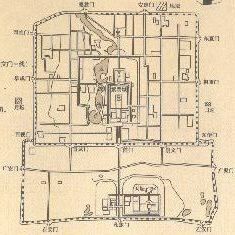 The Foreign Legation Quarter was a separate section of the Inner Imperial Capital, just North and inside the City Walls, in the Southern-DongCheng District east of QianMen. 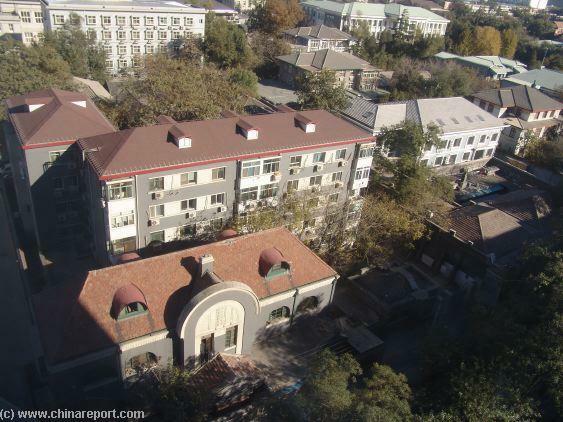 Covering some 3 acres and including 11 foreign embassies, the entire Legation Quarter was considered foreign sovereign ground, was off limits for Chinese Citizens who were not allowed to take up residency within the legation grounds. In the beginning from 1860 AD to 1900 AD, each Embassy had its own small security detail but no Garrison. 17 June, Empress-Dowager Cixi officially asks all Foreigners to leave Beijing. This is an open rejection of foreign influence and almost a declaration of war. 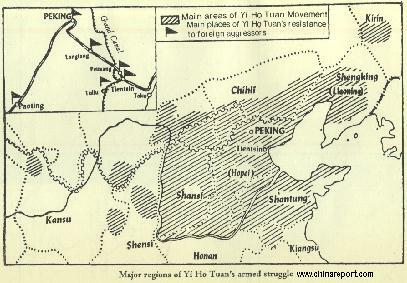 Schematic overview Map of the Area's of North-East China overtaken by the Yi Ho Tuan Movement (The "Boxers"). Full Map and Description under Construction ! 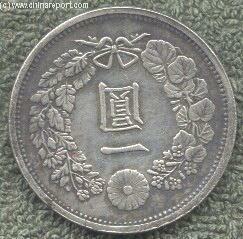 Februari 1901 - Leaders of Boxer Rebellion punished, Shansi Governor Yu Hsien executed. 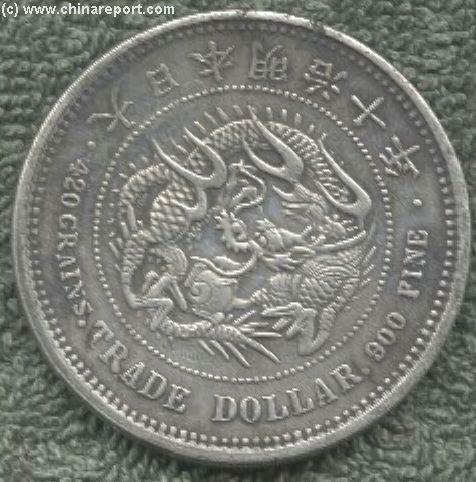 17 September 1901 - Foreign Forces withdraw from Beijing. 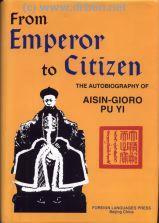 7 Januari 1902, Imperial Family, Empress-Dowager Cixi and Emperor return to Beijing and Court. resulting in an eager invasion by Russians interested in Manchurian mineral wealth. There-after the lid was off the highly volatile chinese political situation and a full war ensued. 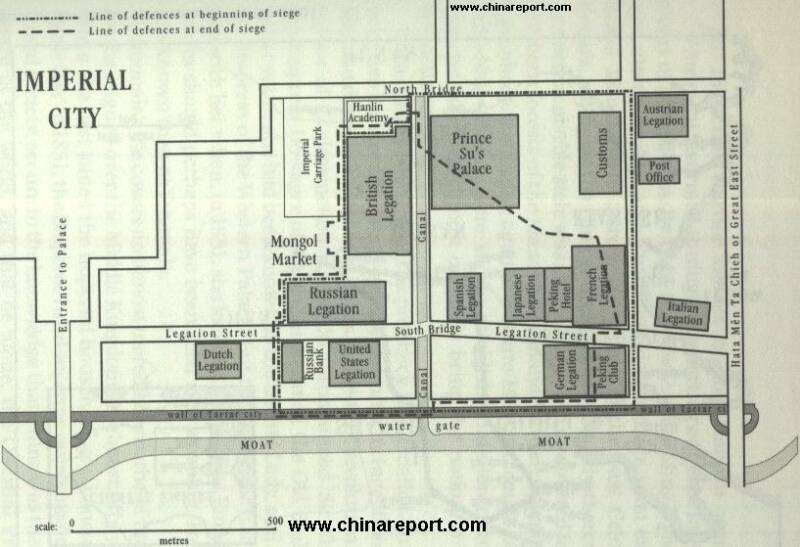 Next Peking was attacked by Boxers and the Grand Canal and railway communications with the Foreign Garrissons (and Gun Boats) at TsienTsin (TianJin) harbor were severed, leaving the westerners in Beijing stranded at their Legation Quarter. And that was just the beginning. Three days later Beijing (horse) race-course, a hated foreign establishment and symbol of Foreign Privilige was utterly destroyed by Boxers who then started their invasion of the Inner City. 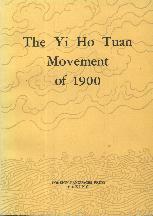 together with a similar tract by British diplomat Thomas Wade, distributed to senior Qing officials for comment. It had little impact at the time. But forty years later, when the Empress Dowager Cixi reportedly told the author that she wished she had followed his advice, it became a foundation stone of the mythology of Robert Hart, a symbol of the failure of the Qing court to take full advantage of the Portadown native's wisdom. 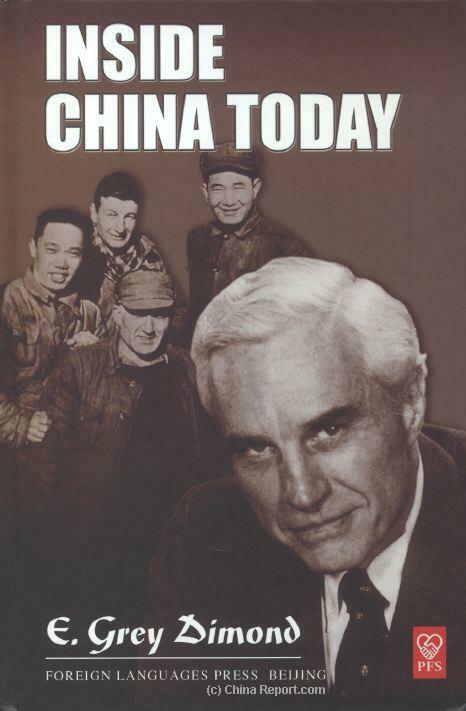 Today Rue Hart, now TaiJiChang Toutiao reminds of Robert Hart at the Legations Quarter of Beijing. The Roman Catholic Cathedral, the London and American missions, and the Maritime Customs burned the night of June 17th. Marking the path of the former Imperial Canal inside the Ming Dynasty Era city walls of the Old Capital City, zheng yi road extends between the former Watergate and the old main thoroughfare of Chang An - Eternal peace Avenue, now a world famous boulevard. 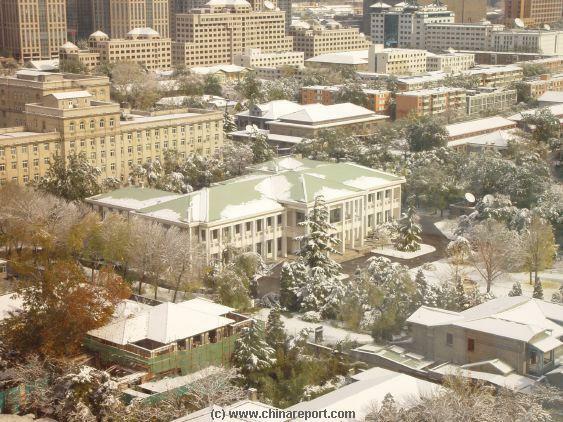 Take a walk from south to north along Zheng Yi Road and start your discovery tour of the former Legations Quarter of Beijing and its historic relics and remnants. 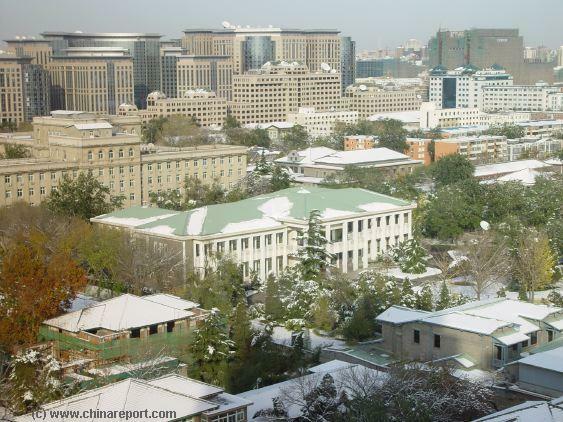 Located just South of Oriental Plaza East flank on DongDan Bei Dajie' Dongdan Park is the inconspicuous smallest park in the City of Beijing. 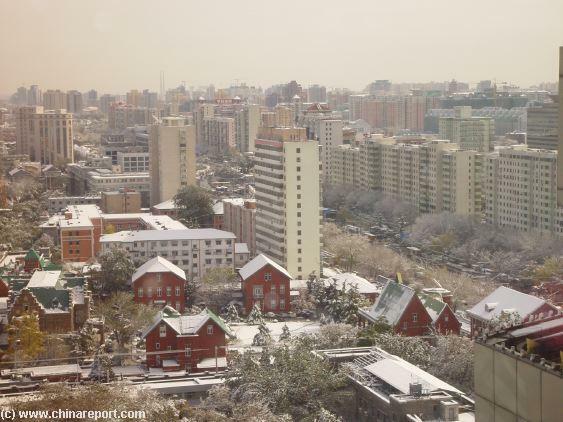 Home of some Revolutionary History and part of the Former Legations Quarter, Dongdan Park has little to offer but exercise, green and leisure Time. That is untill night time when apperently it turns into a gay meeting point. 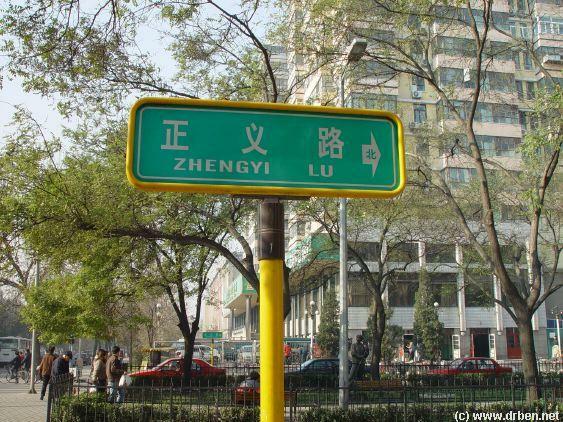 Read about the most controversial little park in Beijing. 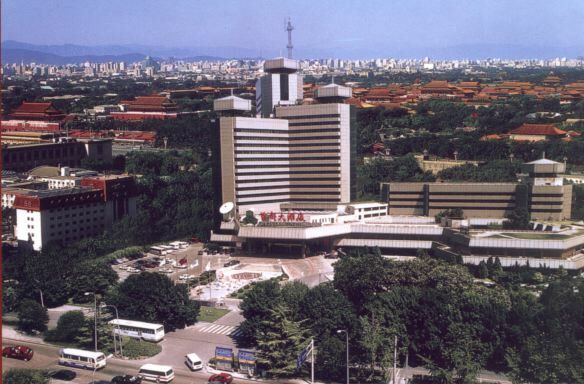 The Capital Hotel with its magnificient view of Tianan Men and the Forbidden City is located just East of QianMen and stands overlooking the entire city center. On the 20Th of June 1900 AD the German Minister Graf Von WaldenSee, who had only recently been appointed Allied Commander in Chief in the Besieged Legations Area, was shot to death by Boxers on Legations Street in Beijing. Earlier on 11Th June the Japanese Ambassador was also killed in a violent incident. By 22nd of June all foreigners are holed up inside the Legation Quarter, not daring to move while Boxers are setting fire to the wester edge of the Legation Quarter. Part of the Library of Imperial Scholarship (HanLin Yuan) and the western section of the legations are destroyed (after the rebellion this area would become a polo field). TianJin taken in July, August 4 1900, huge allied force setting off from TianJin to relief Beijing's Legation Quarter. 15 August - Empress-Dowager and Guanxu flee Beijing (to Xian).Beijing looted by private Foreigners and the 8 Allied European Nation Army. 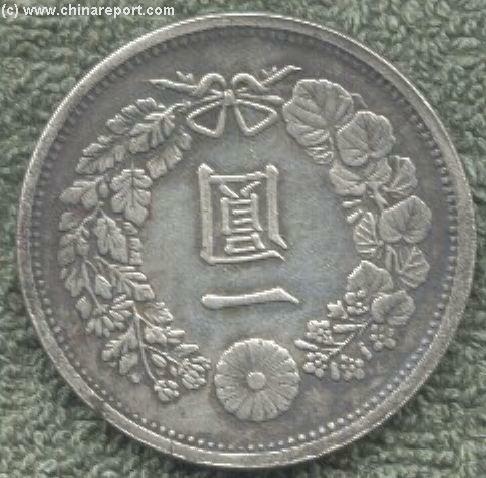 30 September, Russia occupies Shenyang (Mukden) taking over almost all of Manchuria (withdrawal 18Th April 1902).